Is CHA Holding Vacant Apartments? Is the Chicago Housing Authority sitting on vacant units that could be going to needy families? Housing advocates recently took the CHA to task for failing to lease all of its available units. The CHA, however, recently boasted of winning an award from the U.S Department of Housing and Urban Development for having a 98 percent occupancy rate for its senior, mixed-income and family housing portfolios. CHA has more than 9,200 apartments in buildings designated for seniors and over 11,400 units in family developments and scattered sites, and also administers 37,000 Housing Choice Vouchers. 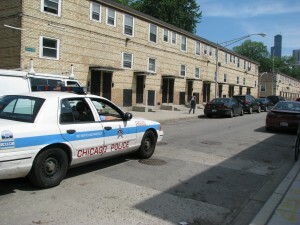 But the Chicago Housing Initiative, a coalition of seven community-based organizations working to preserve low-income housing, recently told the CHA Board that the agency is manipulating its numbers to make it seem as if more of these units are leased than actually are occupied. Demolition started today, March 30, 2011 on the last high-rise building standing in the Cabrini-Green public housing development. Former residents gathered to say their goodbyes to the last visual proof that life and memories were created on the grounds of the building at 1230 N. Burling Ave. Former and present residents gathered in the vacant lot adjacent to the building sharing memories and their thoughts on the art project that was created to commemorate the high-rises – LED lights were placed in the Burling building’s 134 apartments by Jan Tichy, a professor at the Art Institute of Chicago. Many of those gathered in front of the building talked about the proposed Target Store that may be built on the property where the building currently stands. There were various views on the store potentially replacing the high-rise. 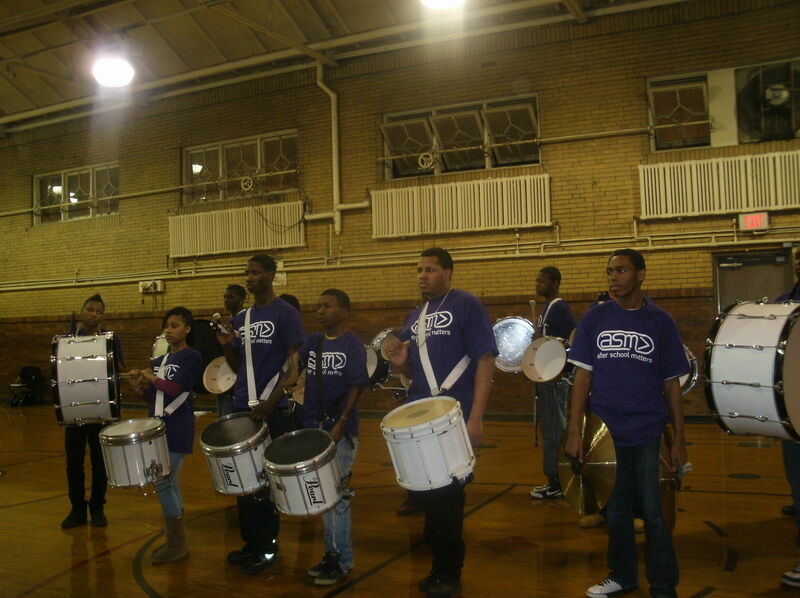 Reginald Grant, a former resident of Cabrini-Green who founded the mentoring organization 100 Men Standing, came back to guide young men and women in the Near North community. He went on to say that the building’s demolition is progress. “It’s a lot of sad memories over here and sometimes people want to forget those memories. I could never forget the community because the community is the people,” Grant said. Tenants and their advocates from the historic Julia C. Lathrop Homes, along with residents of the Cabrini-Green Rowhouses and some ex-offenders demanding better hiring practices from contractors, crashed the Chicago Housing Authority’s public board meeting March 15at the Seward Park Fieldhouse, 900 N. Hudson Ave. In the jam-packed gym, the tenants and their advocates stood along the walls holding signs and shouting slogans against the CHA’s plans to demolish the Lathrop Homes public housing site. Other protestors aligned themselves on the opposite side of the room with video equipment to tape the meeting. The Chicago Housing Authority said last month they have not made a final decision about the fate of 300 public housing row houses at the Cabrini Green public housing complex. “There currently aren’t any definite plans for the remaining, non-rehabbed row houses. At this time, there is a working group in place to analyze and make a recommendation on the future of the remaining row houses,” states an e-mail from CHA spokesperson Matt Aguillar. 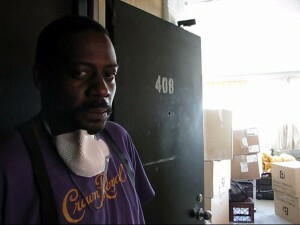 Tjuanne Pitchford, 36, one of the last of the two remaining families at the historical Cabrini–Green public housing site, packed his and his brother’s belongings and moved out of the last high rise building on December 7, 2010. He is temporarily moving into the Francis Cabrini Rowhouses nearby, waiting for his Section 8 Housing Voucher to come through. Drawing closer to the end of an era, only one occupied high-rise building remains at the former Cabrini-Green public housing complex, located on the North Side of the city. This past September, the Chicago Housing Authority (CHA) closed the last of the two Cabrini mid-rises, known as the Cabrini Extensions, and relocated all the remaining families. CHA has promised that the departing families can have an option to return once the property is redeveloped under their massive Transformation Plan. 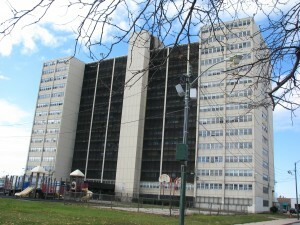 That same month, the 39 families living at the remaining 1230 N. Burling Street high-building—which, at its peak, held 134 families­­— had received their notices of CHA’s intention to close the high-rise as the end of Cabrini-Green draws closer.